Brendan is a specially appointed professor at Osaka University in the Center for the Study of Co*Design. He teaches and undertakes research as part of the Co-creation Design Division. His core areas of expertise include urban transitions, ethical cities, sustainability science, and science/research communication. Previously he was a senior lecturer in the RMIT School of Global, Urban and Social Studies and program manager for the Masters of International Urban and Environmental Management, and before that he was a research fellow with the Global Compact Cities Programme, hosted by RMIT. 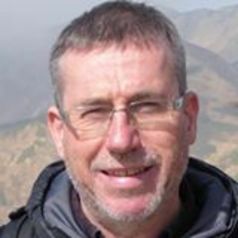 Brendan worked with the United Nations in Japan between 1995 and 2015, with the United Nations University (UNU) and the UN Environment Programme. At the UNU, he was the head of online learning and head of communications where he oversaw the development of interactive websites and video documentaries on complex social and environmental concerns. As a result, Brendan has extensive experience in science communications and launched the Our World bi-lingual webzine in 2008. He is a visiting faculty member at the University of Tokyo's Integrated Research System for Sustainability Science and at the United Nations University Institute for the Advanced Study of Sustainability.